patent | The Small Wave. It gets weirder. Microsoft, in turn, would recieve royalties on every Google Android phone sold by HTC. So, for a few bucks per Android device, Microsoft gives HTC the ammunition it needs to fight off Apple in its patent disputes. Despite public statements to the contrary, HTC must be concerned about the Apple lawsuit. Otherwise there’s little reason to give Microsoft “a few bucks” per phone for, essentially, nothing. Windows Mobile is in terrible shape, so if Microsoft had any phone patents (i.e., “ammunition”) worth having they’d have gone after the smartphone vendors themselves by now. They haven’t. Instead, I think Microsoft licensed HTC a bill of goods that looks good in a press release. Microsoft gets cash money for HTC phones sold, but doesn’t have to dirty their hands with any legal battle that’ll cost millions (and they’re not confident in winning). Sure, HTC can go back to Apple and say “See? 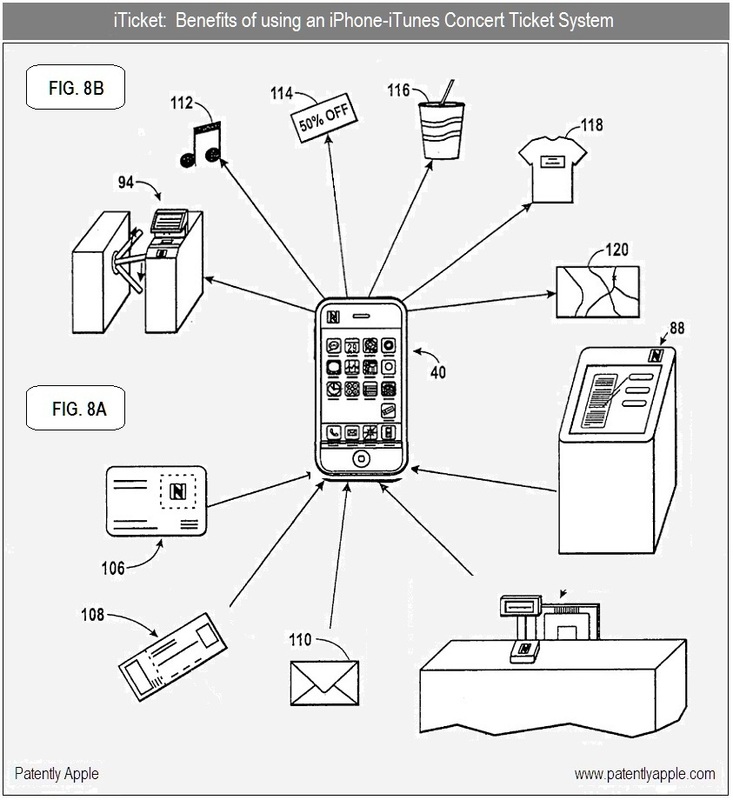 We have these Microsoft patents, are you scared now?”, but I think Apple will be unimpressed. Again, it looks good in a press release, and in tech pundits’ columns, but all it’ll likely do is stretch the case, and the cloud over HTC, out further, which is not a good thing for HTC. I would think HTC tried first to cross-license with Apple (after all, they’re the ones holding the patents HTC’s alleged to be infringing), but Apple said no. Microsoft made overtures, HTC grabbed, and Microsoft laughs all the way to the bank. Apple patents use of arrows in diagrams to indicate “in” and “out”. Still, screw software, this would be the best patent yet. Has There Ever Been a Graphic That Meant Less? Probably not. This is nothing more than measuring the size of corporate penises. Ultimately, it reveals nothing.